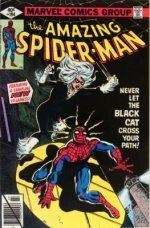 Most comic book collecting newbies (and even some old hands!) do this -- so don't feel bad if you've fallen into this trap. 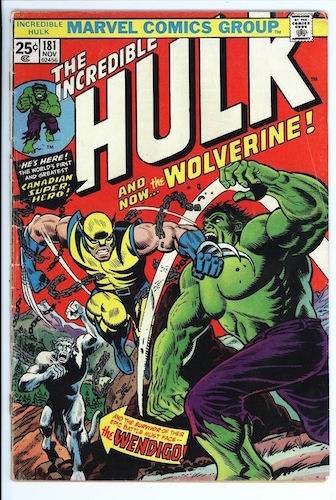 Simply, you 'save up' for a big book like Incredible Hulk #181 (1st Wolverine) or New Mutants #98 (1st Deadpool). But you pull the trigger too quickly, or without knowing the market for that book, and end up with a scenario like the ones outlined below. This page will show you the error of your ways. Watch the videos below, or click to skip down to read the article, and see pictures of exactly WHY it's a terrible mistake to settle for less when you collect key issue comics. When the price of a book in one grade is very close to the same book in a higher grade, we call that "price compression". As you'll see from our examples, rushing to buy your dream book is a mistake. You might be able to afford more than you expect if you do a little digging. 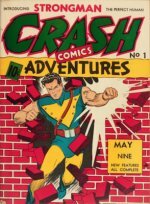 Avoid This Rookie Comic Book Collecting Mistake! 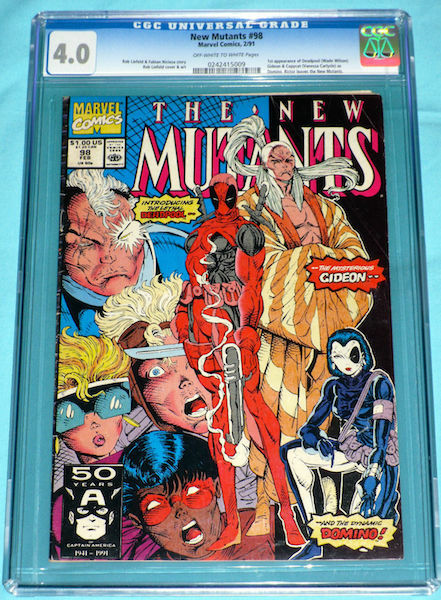 Most Marvel comic book collectors want to own a copy of New Mutants #98. Deadpool's cinematic bow in 2016 has just increased demand for this book. It's a mostly black front cover and a mostly dark rear cover, both of which show wear, and especially spine stress, very easily. That makes it REALLY important to hold out for a good one. Because there are so many sold, you have NO excuse for buying a dud. 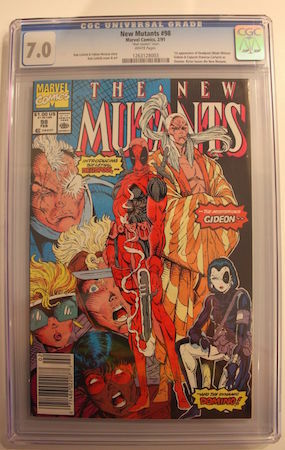 ...THIS copy of New Mutants #98 in CGC 9.0 for $220? No brainer, right? They are only $30 apart. YES, THIRTY BUCKS! Pro comic book collecting tip #1: Do your research. Find out the average recent sale price for a book you're interested in, set that as a limit, and wait. Books like NM #98 are common as dirt. Right now, there are 285 listed for sale on eBay alone! Set your price, find the right book at the right grade, bid your maximum, and then WAIT. Don't be tempted to bid more. 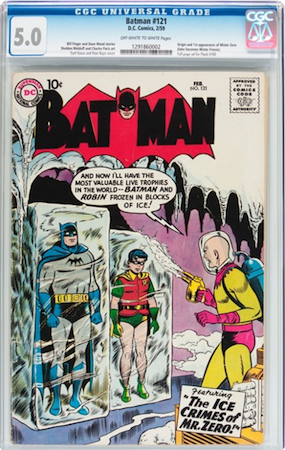 When you see price compression, ask yourself if the $30 or whatever is better spent on a few lattes at Starbucks, or invested into a book with far greater appeal to more comic book collectors when it's time to sell? Modern books (published since 1991) are FAR MORE COMMON than 1960s or 1970s books in high grade. A 7.0 or lower of a modern book is basically a dog. Don't be the dog walker. Know your market and invest your dollars wisely. 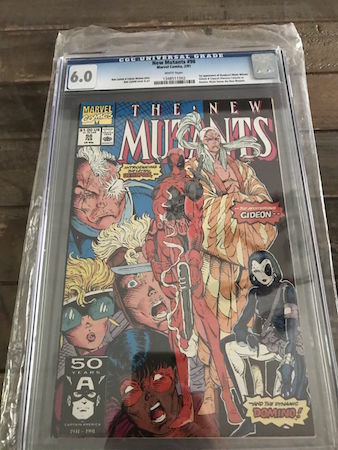 Some sap paid $182 for this CGC 6.0 of New Mutants #98 on June 7th 2017. Just $8 less than the 7.0 above, and $38 less than the 9.0! To the casual eye, there is little difference between a 6.0 and a 7.0. They all look SO SHINY in plastic cases. Please, educate yourself BEFORE you spend the $$. OMG. 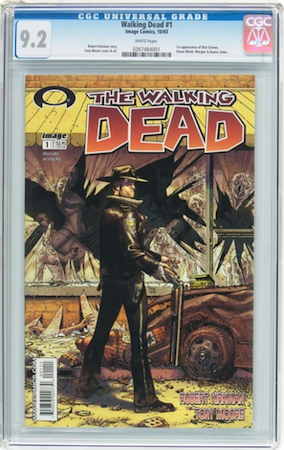 Yes, you too could be the PROUD owner of this CGC 4.0 example. A snip at just $165 back in 2015. Great return on your investment: doubles as a paperweight. Somebody ELSE paid $101 for the lowest-recorded grade of CGC 1.5 in April 2016. 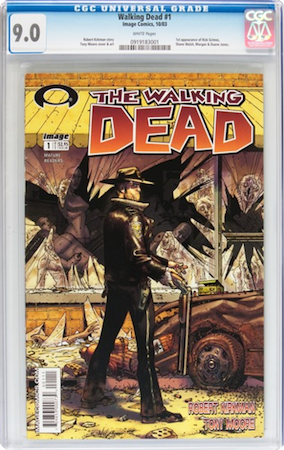 Buying a Key Issue Comic? Give us your target book and budget range, and we'll find the right key issue for you. We can also guide you, if you've found one on eBay but don't know what to pay. "I Gotta Have It! I Gotta Have It!" 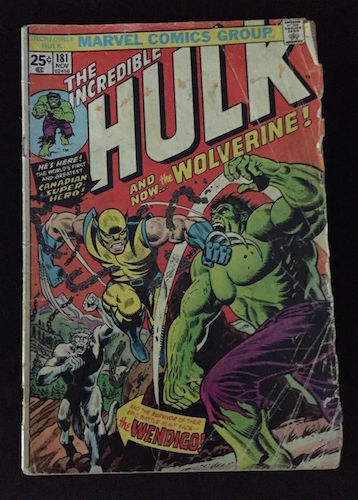 There are idiots, and then there are idiots who want a copy, ANY copy, of Wolverine's first appearance in Incredible Hulk #181. The huge demand for this issue means all kinds of ragged books have been brought to market. You can literally find dogs changing hands for real money. It's insane. There is so much price compression in the lower end of the market, you'd swear Hulk and Thing had been jumping up and down on prices. And so for our examples. This is my favorite book in this article! 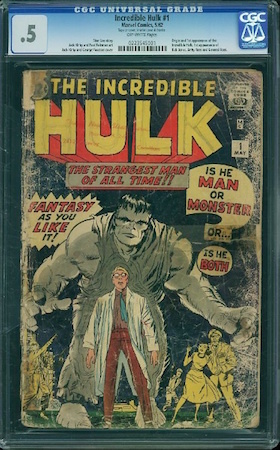 THIS Incredible Hulk #181 CGC 3.5 for $720?! I kid you NOT. Pro comic book collecting tip #2: Know the market. There are THREE companies in the USA who provide encapsulation ("slabs", as we call them), but only two are taken seriously. CGC is the old timer; CBCS is the newcomer. And then there's PGX. PGX is a smaller company which has a less-than-stellar reputation. Buying PGX books is far riskier, and prices reflect this. 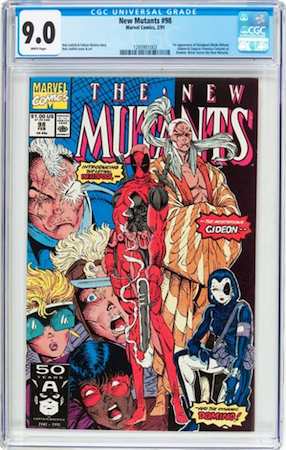 Do NOT pay the same price for PGX as you do for CGC or CBCS. It's almost impossible to over-state this. I would prefer you to never buy a PGX book. There is usually plenty of choice out there without resorting to this. 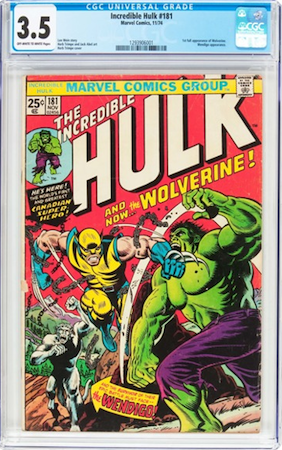 CBCS is well-regarded by collectors and dealers, but typically sell for about 10 percent less than CGC examples of the same book in the same grade. 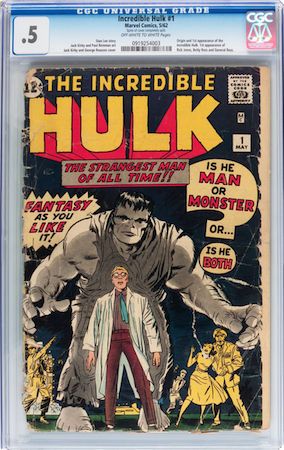 While a CGC 3.5 is not THAT much nicer than a 2.0, it is a better book... and as the above example shows, higher graded books do not always sell for higher prices. and so much supply and demand on a book that prices vary wildly, even at auction. Buy at auction; set your maximum price and stick to it. Once again, target the book in a certain grade at a certain price, then wait. There will be another one if this one gets away from you. 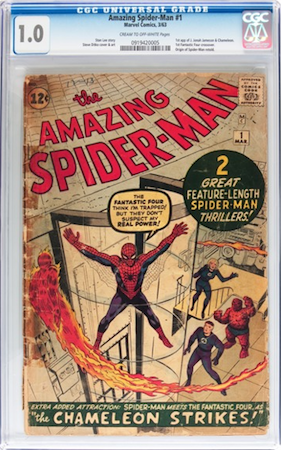 This beauty is missing an entire page (where the Marvel Value Stamp should be), and the cover is detached. A snip at $420. Or, if you're the kinda guy who wants everything there, no matter how ragged, this complete copy will be your cup of tea, for just $586. Remember the 3.5 example I showed you above? It looks near mint in comparison, and that was just $160 more than the beater shown here. USE YOUR COMMON FRIGGING SENSE. If you can't afford better, go and work in McDonald's for a couple of days, and put the money into a book that has future resale potential. So you're a dreamer with a smaller budget? So-called "beat but complete" mega-key issues, such as Amazing Fantasy #15, Journey into Mystery #83 or Incredible Hulk #1 are going to be your end of the pool. And it's a murky place to be fishing. There are a myriad of reasons why a comic book can get the lowest possible 0.5 grade; it can have pieces missing, heavy staining, terrible creasing and overall surface wear. Just check out these two examples! 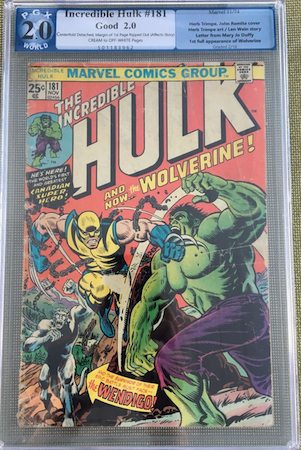 THIS Incredible Hulk #1? Both are "worth the same" if you simply look at sales data. But as this example shows, it pays to be picky, even within the same grade and pricepoint. Pro comic book collecting tip #3: You can afford to be choosy. There are relatively few really rare comic books. Most comics, even Silver Age key issues, come along often. The above is a simple choice. You'd go for the book that is free of tape, has a pretty fresh front (for the grade), and although it has extensive Marvel chipping and a completely split spine, it is complete, clean-looking and bright. The first 0.5 has multiple tears and tape repairs, heavy wear and creasing, and in short is as ugly as Hulk himself. In an ideal world, look for copies where most of the damage is on the rear cover. 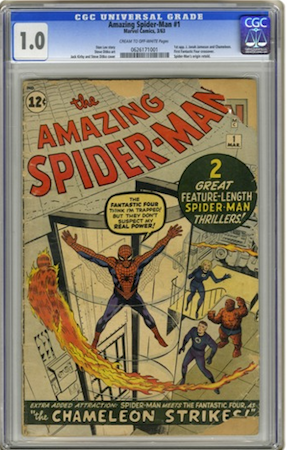 THIS Amazing Spider-Man #1 in CGC 1.0... with most of the damage on the back? Pro comic book collecting tip #4: Sometimes it pays to wait. This topic expands on the problem of price compression. However, in this case, the price compression is caused by confusion in the market. 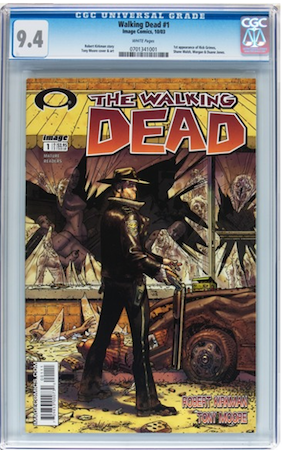 Walking Dead #1 is a modern key issue. There is plentiful supply: more than 2,200 copies have been certified by CGC, and of those, more than 750 are 9.8s. This book follows a predictable pattern. Between seasons, it falls sharply; when a new season starts, or a new deal for more seasons is signed, it rises. 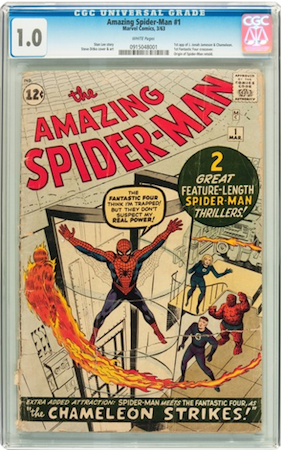 Let's avoid the CGC 9.8 (around $2,600 at the moment) and CGC 9.6 (around $1,550) and look at the grades just below them. The differences between a 9.0 and a 9.2, and a 9.2 and 9.4, are subtle, but as marked to the trained eye as a 7.0 to 7.5 to 8.0. The person paying over $1,100 for a 9.0 ought to invest the extra $180 to get the 9.4. Seriously, ask yourself: what's your hurry? Do you feel compelled to invest your money in a book with such uncertainty in the prices realized? It's not because buying one of these is a rare opportunity. It's not because you're going to do well from an investment point of view. You'd do far better to get on the 9.6 or 9.8 bandwagon, where prices have fallen from record highs, if that is your objective. The kind of prices outlined above just prove my point: most buyers entering the modern market don't know what they're doing. To the uneducated masses, near mint is near mint. They don't know the difference between a 9.0 and a 9.4. Don't be one of those dudes. My advice specifically on this book: wait a few months. Prices are still falling on the 9.8s and 9.6s and that will push down the lower grades. The 9.6 will probably be a $1,350 book by October 2017, and when it comes to resale you're far better off with a 9.6 than a 9.0, 9.2 or 9.4. Pro comic book collecting tip #5: If you can't afford it, wait. Our last topic is budget. Most of us have limited funds to invest in key issue comic books. I don't recommend you break your budget (especially if you have people relying on you for food and shelter). ...Don't be the BMW or Bust Guy. You know exactly who I'm talking about. The BMW or Bust Guy had to have a Beemer in his 20s. Never mind that he couldn't really afford the insurance, or repairs, or a decent car in the first place. 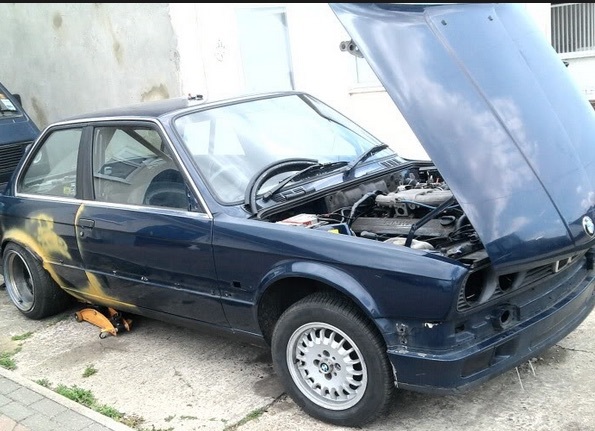 The idea of saving up until he could really ENJOY a BMW didn't cross his mind for a second. You know this guy, because you can hear him coming from miles away, thanks to the holes in his muffler. His girlfriend looks great in the passenger seat, especially while they're waiting for AAA to show up and tow them home. From the same stable as the BMW or Bust Guy come these decisions. I've already touched on this in the Hulk #181 rag example, but it bears repeating. 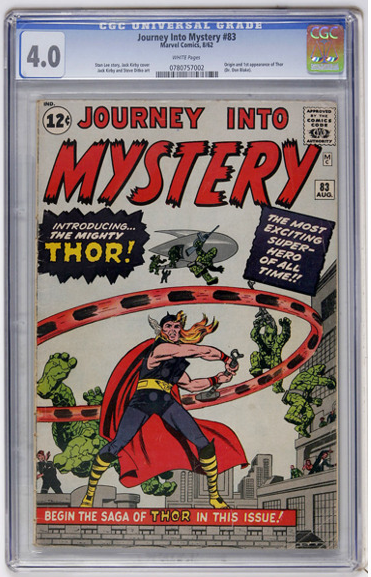 This Journey into Mystery #83 is graded 1.8 by CGC. It has pieces missing and has heavily tanned covers. It still costs nearly $2,000! That's over 160 hours of flipping burgers. 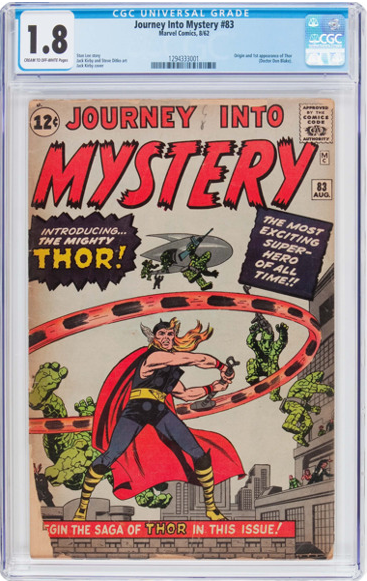 This Journey into Mystery #83 is graded 4.0 by CGC. It is clean, free of major damage and really nice for the grade. PRICE DIFFERENCE: $1,875, or 156 hours of flipping burgers. This Batman #121 is graded 2.0 by CGC. It's heavily worn. Somebody bought it for $985! That's over 82 hours of flipping burgers. 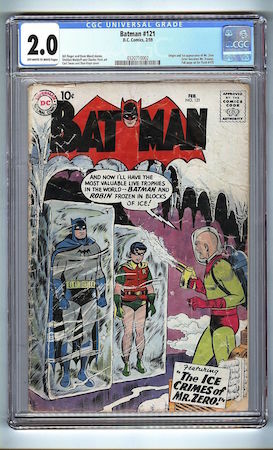 This Batman #121 is graded 5.0 by CGC. It's clean and respectable. Price difference: $815, or almost 68 hours of flipping burgers. 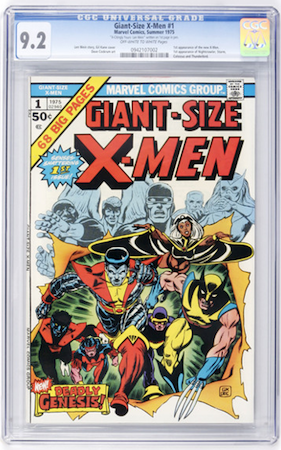 Giant-Size X-Men #1 in CGC 8.0. It's a very respectable copy of this book. That is $1,000, or around 83 hours of flipping burgers. 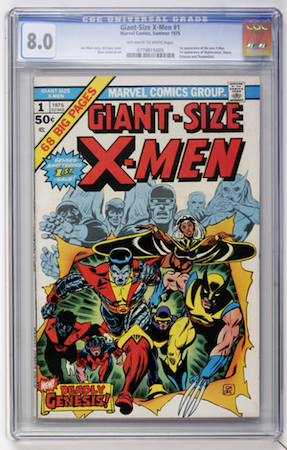 Giant-Size X-Men #1 in CGC 9.2 is much nicer, and has better potential ROI. The difference is $673, or around 56 hours of flipping burgers. I have purposely avoided the very cheapest 0.5-graded examples. You are ALREADY spending real money on a comic book, or in my parlance, investing dozens of hours of burger flipping (or whatever you do for a living). Why not protect that investment by putting a bit more money into something with much better potential resale value? I hope you enjoyed this episode of This or That. Please send feedback via our Facebook page!